Abstract:- The key raw material for the production of bricks is considered to be Cement, but excessive use of the cement leads to the negative impact on the atmosphere. 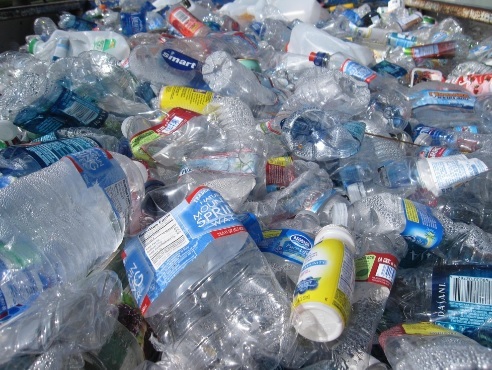 If the cement is replaced by the locally available waste materials, than it has a significant potential to address the impact on the environment, especially in the industry of construction by contributing to a production which is cleaner. The main objective of this research is to find out the performance of the brick where the cement is replace by palm oil fuel ash or fly ash or the waste materials typically available locally. It is done because the construction is on the rise and the excess use of the chemical composite is degrading our environment. To find out the performance of these variety of bricks various tests are carried out like; compressive strength test, water absorption test, thermo-gravimetric test, etc. These tests were carried out at different % of combinations of fly ash, palm oil fuel ash, etc. 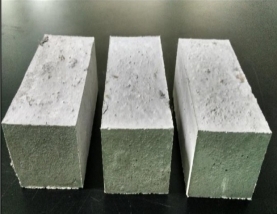 The results of the test have revealed that the both fly ash and palm oil fuel ash which are incorporated in the bricks have satisfied the Class 1 and Class 2 load-bearing brick requirements according to the Malaysian Standard MS76:1972 along with water absorption requirements as per ASTM C55-11. 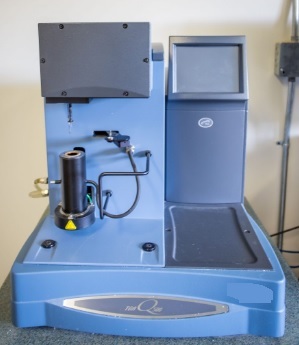 The thermo gravimetric analysis study confirms that the Ca(OH)2 gradually decreases due to the increase of pozzolanic material contents (fly ash and palm oil fuel ash). 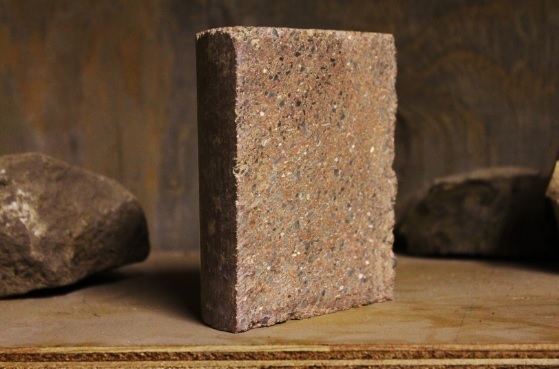 Moreover, these newly developed bricks cost less than the conventional bricks and are way cheaper than the conventional bricks. The production of these bricks does not pollute the environment on a scale than the cement is degrading now-a-days. Brick is one of the important building units used for masonry work in the building construction which make up walls and columns after adjoining a great number of bricks by the help of mortar paste. On the basis of raw materials used for manufacturing of bricks, they are usually classified into three categories as clay bricks, fly ash bricks and Oil Palm Fuel Ash bricks. They can also be typically categorized in the form of graded class i.e. first class, second class, third class and fourth class bricks. Different categorized bricks have dissimilar strength, color, appearances and applications according to anxiety in construction. Generally, the modular size of brick is (190×90×90) mm and non-modular size of brick varies as length (210-250 mm), width (100-130 mm) and height (70-75 mm). Its maximum weight is approximately 3 to 3.5 kg. These bricks are obtained by hand molding or machine molding. Clay bricks are molded in rectangular blocks of uniform size but here in our research study; the Oil Palm Fuel Ash brick blocks are made by use of wet sludge and after drying of it. As bricks are light in weight and having uniform shape and size, they can be properly arranged and due to these reasons brick has now replaced the use of stones in most of the construction work. In our proposed study we are making Oil Palm Fuel Ash brick because nowadays waste material like fly ash, Oil Palm Fuel Ash, coal-based bricks are being made over conventional brick so that waste material can be utilized and for making eco-friendly to the environment. Mix Proportioning can be defined as the technique of selection of the appropriate composition of materials for manufacturing of bricks. In the current research work, Oil Palm Fuel Ash has been used in varying percentages of its weight. A good brick earth constitutes mineral proportioning consists of alumina, silica, lime, oxides of iron and magnesia where silica (sand) provides a body of brick and is coarser than other materials. Therefore, in order to use Oil Palm Fuel Ash and fly ash in bulk, all ingredientshave been replaced by cement, Oil Palm Fuel Ash and fly ash and bricks are completely made up of these materials only and in our research is enriched of clayand silica mass due to the use of Alfisols (alluvial) type of soil, having fines silica particles. 10 to 30% Oil Palm Fuel Ash is further added and varied the amount of fly ash in all the proportions for making non-conventional brick. An experimental study was done to find out the properties of the bricks in which the blended POFA and Fly Ash takes the place of the cement in different ratios. 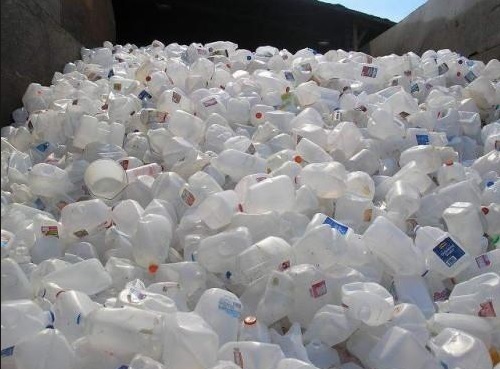 This study emphasizes the opportunity to an method of managing waste products from the palm oil industry and the coal fired industry which is an eco-friendly method. The bricks made of fly ash have showed some cheering improvements after we have added 15% POFA to it. 1) All the specimens of the bricks were categorized under the medium-weight category of bricks. The density of the rock is dependent on the percentage of the Portland cement which is substituted in it. The higher is the level of replacement of the Portland cement, the density of the bricks is also greater. 2) By adding POFA and Fly Ash, the compressive strength of the bricks is improved. In order to obtain the highest strength value of the bricks, the ratio of the POFA and Fly Ash was maintained. However, if the Fly Ash replacement was more than 15% than there is a slight decrease in the compressive strength. 3) When the bricks were immersed in the water for 24 hrs, the compressive strength of the bricks was decreased by approximately 20% to 25%. Adding to this, the bricks which contained 15% to 30% of Fly Ash, exhibited a higher compressive strength than the bricks which were made from the Portland cement. 4) The water absorption of the POFA and fly ash bricks is _______kg/m3, which is lower than that of ASTM C55-11 . 5) The water absorption of the POFA and Fly Ash bricks gradually decreased when the fly ash replacement was increased. 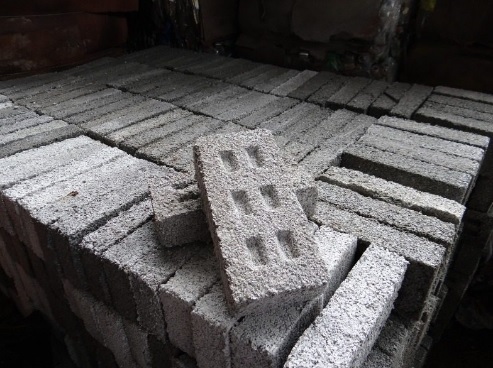 6) POFA is ought to be the waste materials, this made the cost of the POFA - Fly Ash bricks being lower than that of the bricks which were made with Portland cement.